Hit the range with a name you trust. When it comes to your ammunition, trust a company that has been a household name for 150 years. Trust Winchester®. 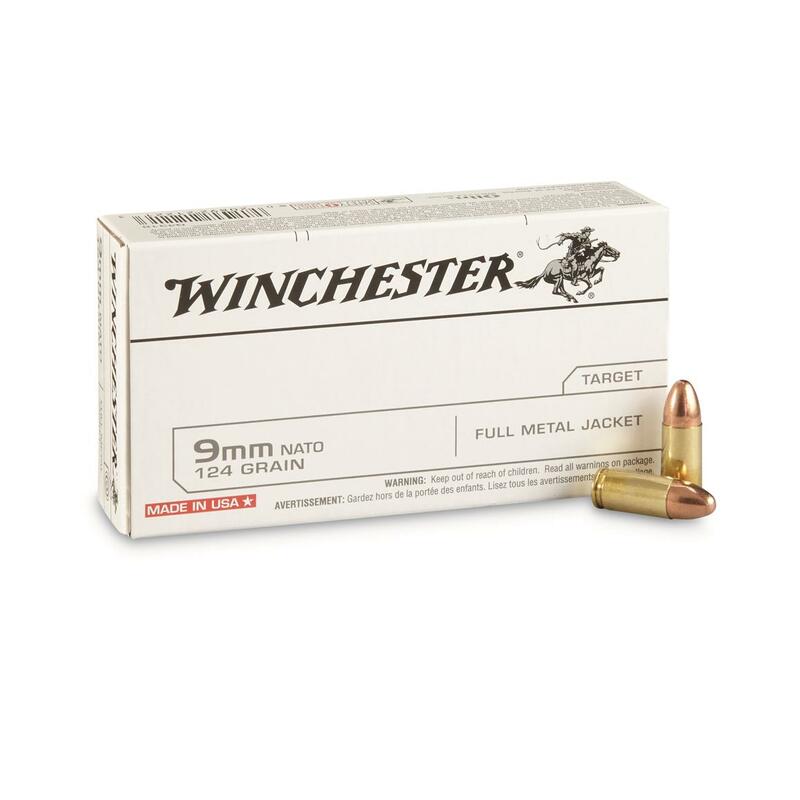 Winchester White Box, 9mm, FMJ, 124 Grain, 50 Rounds is rated 4.8 out of 5 by 59. Rated 5 out of 5 by Southern1 from 230 Ball very accurate, powerful This “basic” Winchester White box 45 ACP 230 FMJ is moderately clean, exceptionally accurate out of my 1911, and chronographs 861 FPS corrected to the muzzle, 26 FPS faster than the 835 FPS box specs out of my 5” barrel. It really feels pretty potent compared to other 45 ball I’ve shot. A very good deal. Rated 5 out of 5 by Pancho from 20K+ Rounds no problems This is my got ball ammo for plinking and training. No malfunctions out of 4 different 1911's. Rated 5 out of 5 by ukesongva from Good .380 ammo This ammo works great in my Beretta Cougar. I don't understand most of the 5 Star reviews as they all refer to this as 9MM NATO which it is NOT! 9MM NATO is physically a 9mm, (NOT a .380) with an overpressure load (by SAMMI standards) and should only be used in modern, robust weapons.This .380 ammo is standard loading, reliable, feeds well in my Beretta, and consistently shoots good groups. 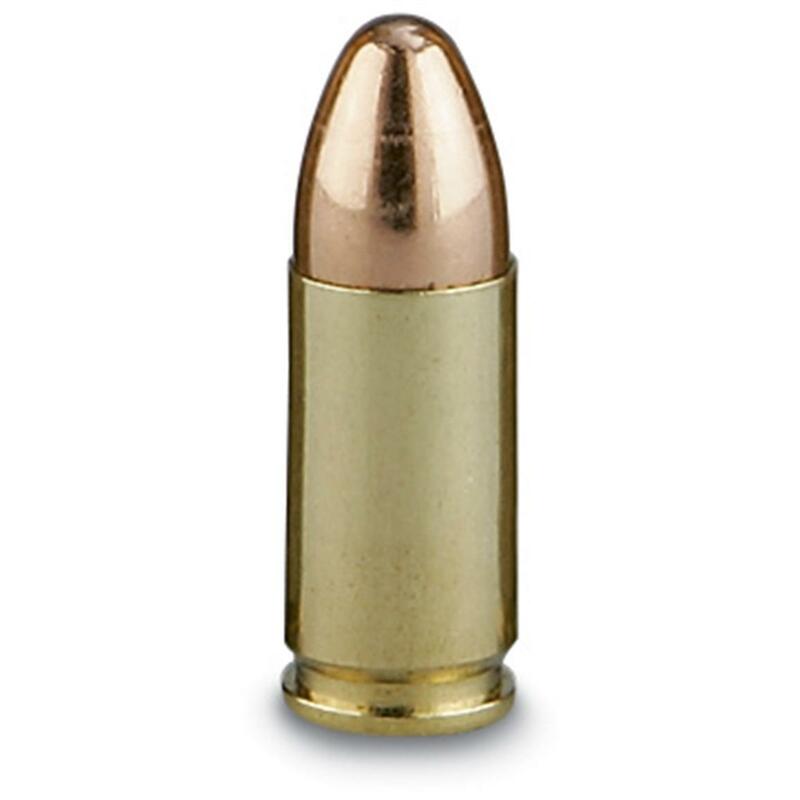 If you are having issues with your .380 feeding these rounds I recommend you clean the feed ramp and possibly use a Dremel and some rouge to polish the ramp.This is great ammo. 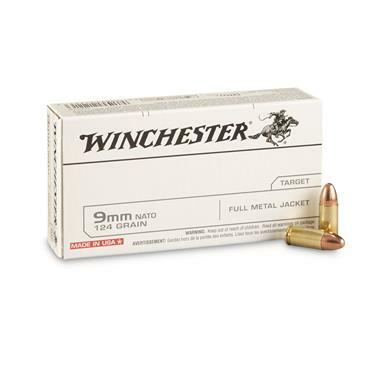 Rated 5 out of 5 by rwimer from Super Clean Performance for the Cost Round after round you can't beat Winchester USA 9mm for consistent clean shooting performance. Rated 5 out of 5 by Patriot9mm from Shoots Through Everything I have shot this product through everything from compact handguns to 9mm AR's and have never had an issue. By far the best quality/value ammunition you can buy to train with. Smooth feeding and straight shooting. Get the best ammo for your gun. For quality cost-conscious target shooting.